DURHAM, N.C. — Hypoxic dead zones, which occur when dissolved oxygen levels in water drop so low that fish and other aquatic animals living there suffocate, are well-documented problems in many coastal waters. 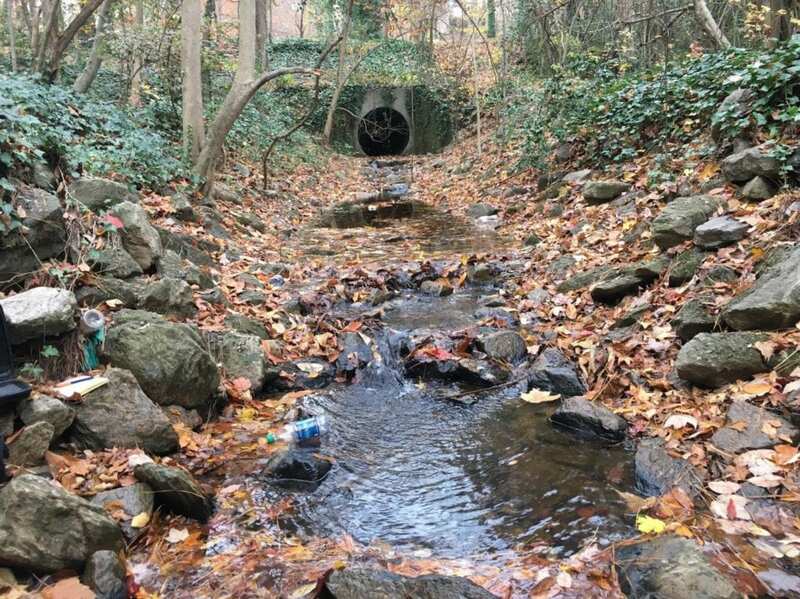 Now, a new Duke University-led study reveals they also occur in freshwater urban streams. “We were surprised to find these dead zones are happening in our own backyards, not just in rivers and coastal waters downstream of major point sources of nutrient pollution,” said study leader Joanna Blaszczak, a 2018 doctoral graduate of Duke’s Nicholas School of the Environment. Blaszczak and her colleagues published their peer-reviewed study Dec. 3 in the journal Limnology & Oceanography. To conduct the study, they measured dissolved oxygen concentrations, light levels, water chemistry and stream flow in six streams draining urban watersheds in Durham and Raleigh, N.C., from 2015 to 2017. They used the data to model the growth of algae and oxygen-consuming bacteria in the streams and examine the frequency at which dissolved oxygen concentrations dropped below two milligrams per liter — the danger point for fish and other aquatic organisms. “Streams draining developed areas are subject to intense, erosive storm flows when roads and stormwater pipes rapidly route runoff into streams during storms, without allowing the water to infiltrate into the soil,” Blaszczak said. The elevated nutrient levels spurred greater consumption of dissolved oxygen by bacteria in the water, causing the pools to become hypoxic until the next storm flushed them out. Some streams were found to be more vulnerable than others, depending on their underlying geology. “Channels that are more susceptible to erosion can become impounded by newly exposed bedrock outcroppings and culverts, leading to the formation of the between-storm pools that are so prone to hypoxia,” Blaszczak explained. “We found that growth rates of algae that support stream food webs was slower in streams with more frequent intense storm flows. Together with the occurrence of hypoxia, this paints a bleak and stressful picture for freshwater organisms that are trying to survive in these urban streams,” she said. While the study was conducted only in small streams draining urban watersheds, its findings are broadly applicable, Blaszczak noted, because pools are ubiquitous features of rivers, made even more so by the long-term legacies of dam building and dam removal. Funding for the study came from the National Science Foundation through its Division of Environmental Biology, (grant #DEB-1258017), Emerging Frontiers Program (EF-1442439) and Graduate Research Fellowship program (GDE-1644868). Blaszczak’s coauthors were Joseph M. Delesantro of the University of North Carolina Chapel Hill, and Dean L. Urban, Martin W. Doyle and Emily S. Bernhardt, all of Duke.